Medicare is our country’s federally-issued health insurance plan for individuals age 65 and over who have worked and paid into the system. It provides health insurance to younger individuals with disabilities, end-stage renal disease, and ALS. Currently, Medicare provides health insurance to over 48 million Americans and is growing with the many baby boomers retiring daily. Medicare beneficiaries are required to have at least “Part A” and may enroll in Part B, C & D if they choose. Part A (free, known as the “Hospital Insurance Program”) covers inpatient hospital care, short-term skilled nursing care, hospice care, and short-term home health care. Part B (Optional, known as “Supplemental”) covers physician fees and outpatient services such as nurse practitioners, outpatient surgery, diagnostic testing, and durable medical equipment. Part B is optional and may be deferred if the beneficiary or his/her spouse is still working and has group health coverage through that employer. There is a lifetime penalty of 10% per year imposed for not enrolling in Part B unless actively working and receiving group health coverage from that employer. Part C (Optional) Medicare Advantage Plans are health plan options in which members typically pay a monthly fee in addition to their Medicare Part B premium to cover items not traditionally covered by Medicare Parts A & B, such as dental, vision, annual physicals and medical coverage outside of the United States. Part D (Optional) Prescription drug coverage provides protection for people who have considerable drug costs. Part D usually covers both brand-name and generic prescription drugs from participating pharmacies. Individuals pay a monthly premium, which varies by plan, and a yearly deductible. Costs vary depending on the drug plan chosen and their financial status. On average, Medicare covers about half (48 percent) of the health care charges for those enrolled. The enrollees must then cover the remaining approved charges either with supplemental insurance or with another form of out-of-pocket coverage. $426 per month (as of 2014) for those with fewer than 30 quarters of Medicare-covered employment and who are not otherwise eligible for premium-free Part A coverage. Most Medicare Part B enrollees pay an insurance premium for this coverage; the standard Part B premium for 2014 is $104.90 -$335.70 per month. A new income-based premium surtax has been in effect since 2007, wherein Part B premiums are higher for beneficiaries with incomes exceeding $85,000 for individuals or $170,000 for married couples. Depending on the extent to which beneficiary earnings exceed the base income, these higher Part B premiums are $146.90, $209.80, $272.70, or $335.70 for 2014, with the highest premium paid by individuals earning more than $214,000, or married couples earning more than $428,000. Medicare Part B premiums are commonly deducted automatically from beneficiaries’ monthly Social Security checks. They can also be paid quarterly via bill sent directly to beneficiaries. This alternative is becoming more common because whereas the eligibility age for Medicare has remained at 65 as per the 1965 legislation, the so-called Full Retirement Age for Social Security has been increased to 66 and will go even higher over time. Therefore, many people delay collecting Social Security and have to pay their Part B premium directly. Part C and D plans may or may not charge premiums, depending on the plans’ design as approved by the Centers for Medicare and Medicaid Services. Medicare is a particularly complex area of planning, with many important choices that must be made in a relatively short period of time, right around age 65. Because of the importance of this, I’m so pleased to announce that Retirement Advisors of America has retained the services of Allen Hamm Consultants to assist our clients with navigating the “Medicare maze.” We hope you find this additional service valuable and welcome your feedback. As always, RAA is here to assist or point you in the right direction for all of your financial planning needs. We can be reached at 800-321-9123 for help with any additional questions. Disclaimer: This blog is intended for informational purposes only and should not be construed as individual investment advice. Actual recommendations are provided by RAA following consultation and are custom-tailored to each investor’s unique needs and circumstances. The information contained herein is from sources believed to be accurate and reliable. 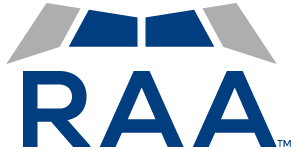 However, RAA accepts no legal responsibility for any errors or omissions. Investments in stocks, bonds and mutual funds may increase or decrease in value. Past performance is no guarantee of future results. Any of the charts and graphs included in this blog are not recommendations for the purchase and sale of any security.